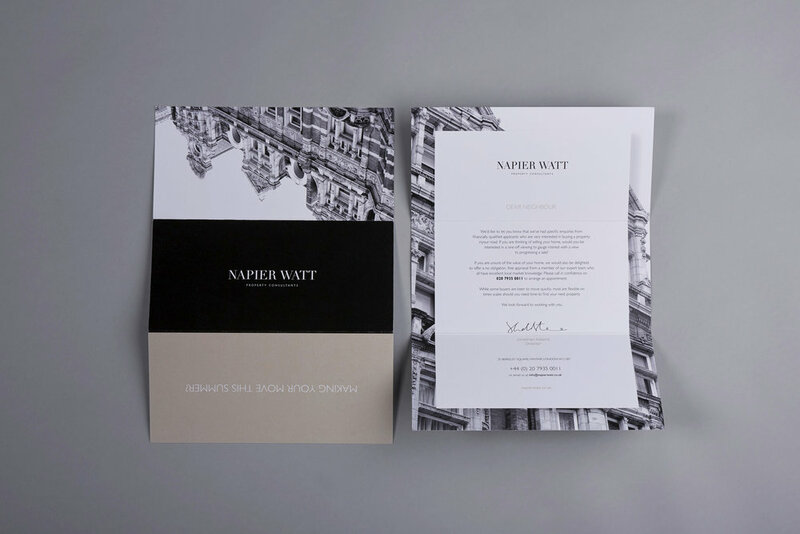 Napier Watt is a dynamic firm of Property Consultants, specialising in the sale, rental and acquisition of residential properties within prime Central London with a clientele of HNWI and international companies. 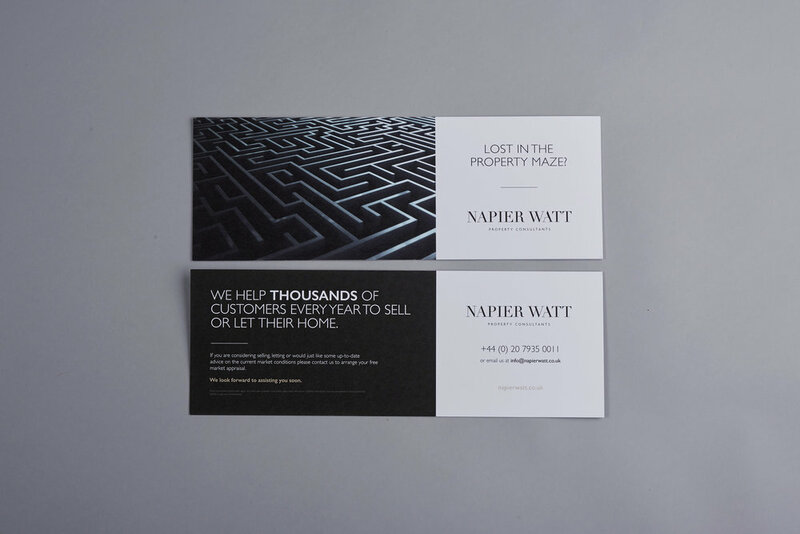 Every two months we produce a marketing campaign from flat two page products to premium folded four and six page mailers that we design, print and distribute across their target area. 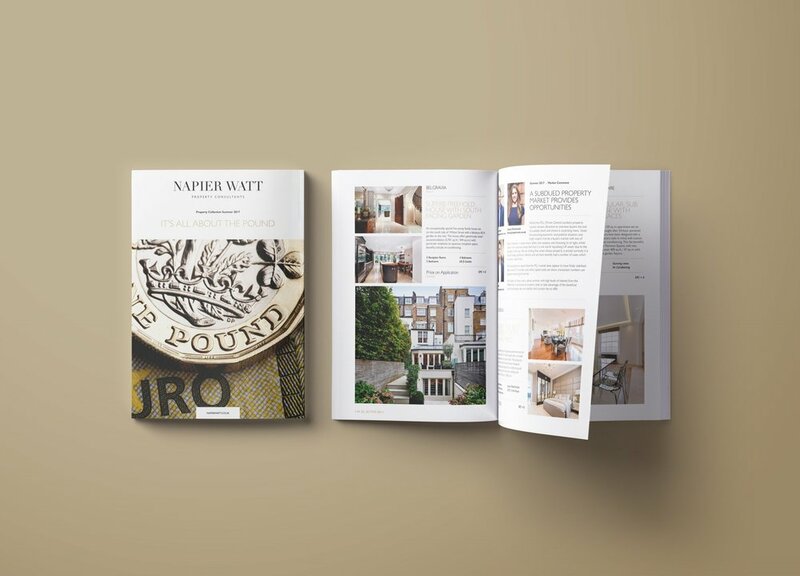 The quarterly mini magazine is now a must read publication which we produce in print as well as a digital, turn page version. 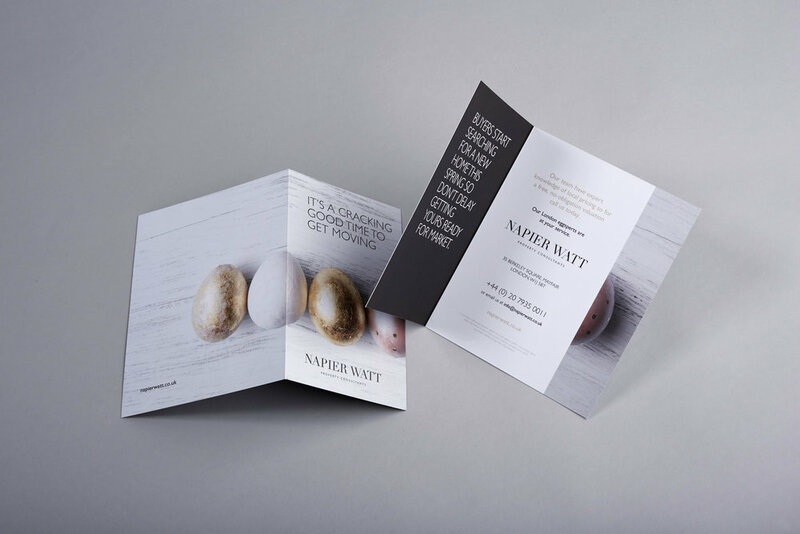 In a highly competitive market, eye-catching, brand centric campaigns are vitally important to produce the results our clients expect.